Everybody get excited, Canva 2.0 launched last week and I’ve created a simple guide to Canva 2.0 for you. I’m going to show you all the new features and how to use them in the FREE version of Canva 2.0. 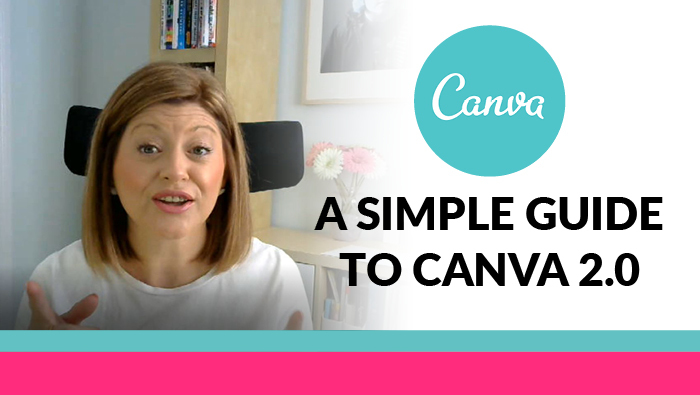 You can also watch the Simple Guide to Canva 2.0 here over on my YouTube Channel if you prefer to watch video. 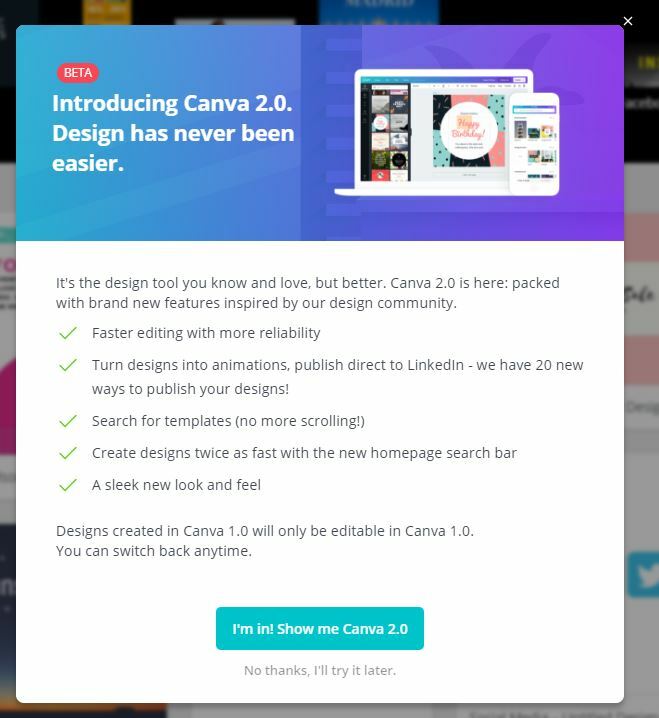 You’ll be pleased to know there have been some gorgeous little tweaks and changes that they’ve done to Canva 2.0. 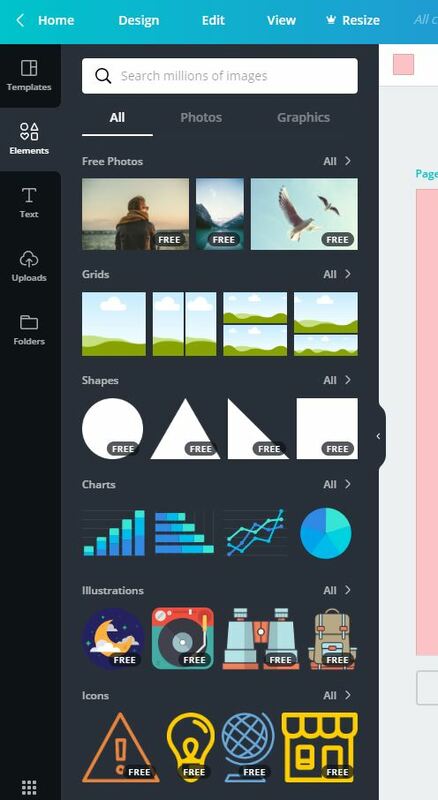 It’s obviously been something that they’ve been working towards, as there have been little glitches here and there and I’ve noticed sometimes how quick it is, or reliable – stalling sometimes and then not saving; so they’ve been doing lots of stuff in the background to make Canva even better. Canva is the tool I wish I had invented. It has heaps and heaps of design templates, and when I say heaps, I should say thousands, of design templates for you to use, for your business, to create for all your social media, presentations, slide decks, logos, pins, Twitter posts, I mean everything. It’s crazy good. In this simple guide to Canva 2.0 I’m going to highlight the best new features, how you can use them and show some of the layout changes in Canva 2.0 too. 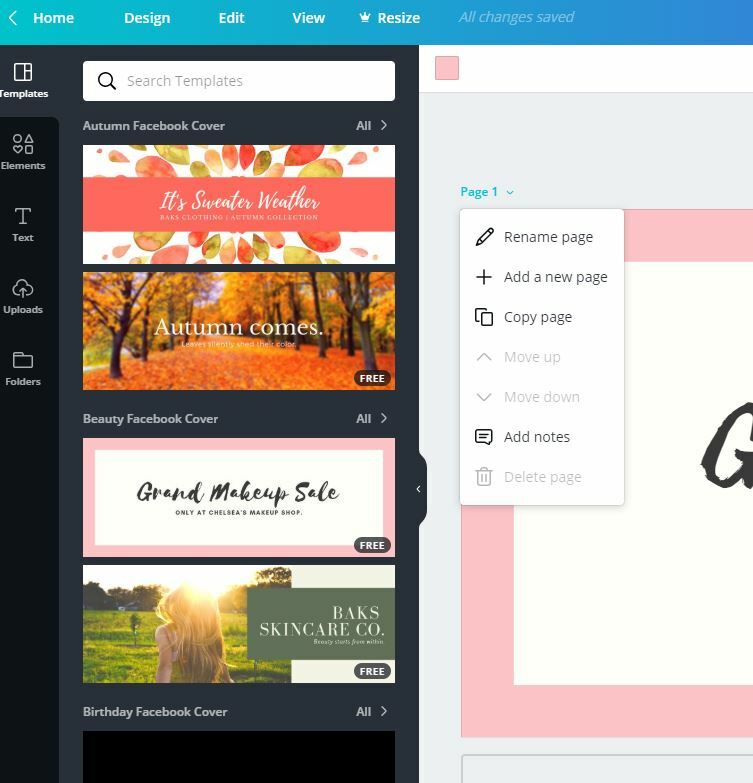 This is what Canva 1.0 looks like – that’s what they’re calling it – Canva 1.0. Canva 2.0 almost sits on another platform. The animation part used to only be available on the Canva for Work version, it’s now available to you on the free version. NOTE: Canva for Work costs around £10 a month. This blog only shows you the FREE features in Canva 2.0 – I will be doing another on the Canva for Work walk around in a separate blog. Once you click through, “I’m in! 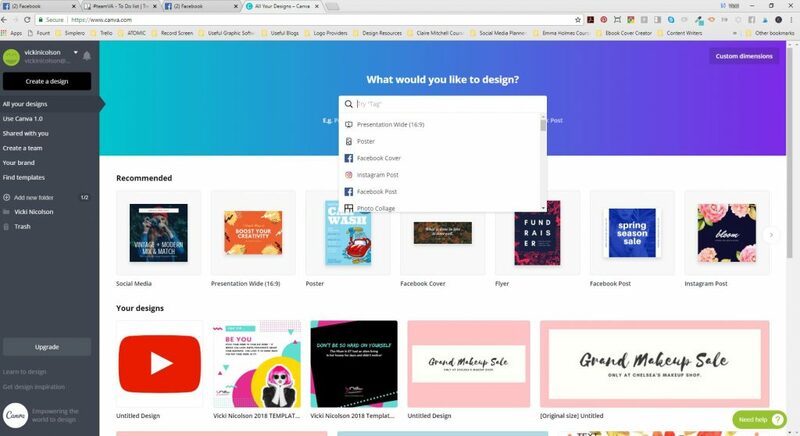 Show me Canva 2.0”, you land on a welcome page where you can now search for templates, no more scrolling. The search is very responsive and has some pre-filled out templates. But you can type in to that too. It also features a Recommended bar below that which you can scroll through left to right. All your designs from Canva 1.0 are still there and sit under that Recommended bar. 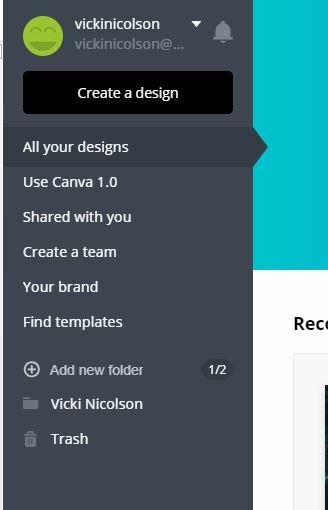 NOTE: When you click on your old designs – or designs created in 1.0, Canva bounces you straight out of 2.0 to 1.0 – so your older designs can not be updated in 2.0 – you can only create new – fingers crossed they get that sorted out soon. Once a design template is selected, I selected a Facebook cover, you’ll see straight away that on the right hand side on Canva 1.0 there used to be a little bit on there where you could add pages, bin it, delete it. Selections such as Rename page, Add a new page, Copy page, or Add notes now appears. All the different templates still appear are on the left hand side, that’s not changed. Elements is still there too. However is much more organize. Text is also unchanged. You can still select from many of the text layout options as well as adding individual text boxes too. And again, Uploads and Folders is also there – Folders is still only available for Canva for Work. I know this blog is about the FREE features but what I want to touch on in Canva for Work is the new Animation Pro and the scheduling feature. Genius if you don’t know which scheduling tools to use (let’s face it, there are far too many to choose from) in Canva 2.0, it does it all for you! I’m gong to post a separate blog about these features as they deserve a dedication blog! 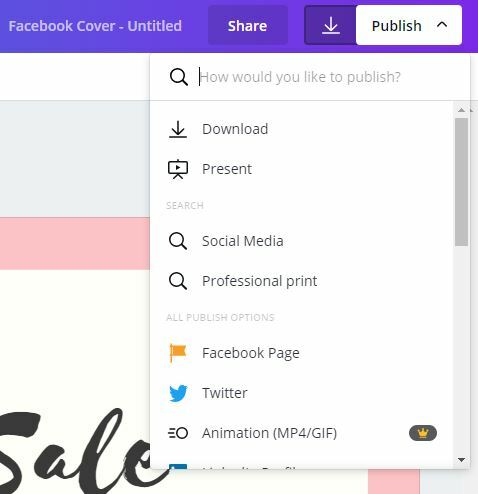 Back to Canva 2.0 free features… you now have a little button up on the right hand side which is features a Download and Publish button. This button is now a magic one! It asks you what you want to do. You can download your design OR you can choose other options such as Present – which animates your design – that used to only be available on Canva for Work. Not anymore. Within this button/dropdown, you can post directly to your Facebook page, LinkedIn, Pinterest, Twitter… there are many social options. All you have to do is connect your social accounts. Be patient. It’s a bit glitchy at the moment, it took a while for it to pick up my accounts. No more bouncing from canva, download folder, then upload to social – it’s all done from here! It’s genius and it will save you so much time. You can also do things like print postcards, clicking on that option, “Turn my design into a postcard.” The option of paper type appears, how many you want, size – it magically resizes your design by the way! Clever right!?! It’s all automatically done through their system. They also have this little tool called Website. You can now publish your design as a beautiful responsive website in just a few clicks. This is going to be amazing, if you don’t have a website and you don’t know how to create sales pages, then you could create your own little mini sales page for things like all your courses, or working one-to-one with you, or if you’re in that transitional phase at the moment where you are waiting for your website then this could be your solution! Yay. Once you click the Website option, it opens in a new window, which looks like a website, you can then copy that link and post that out on your social pages etc. This is going to be amazing for you, like I said, if you don’t have a website. You could create a full pin-sized sales page and publish that, include links or contact me options – BINGO you’ve got a website or sales page! So those are kind of the broad brush basics of Canva 2.0. The Pro version does have the animation version, which is going to be incredible for creating interactive designs. 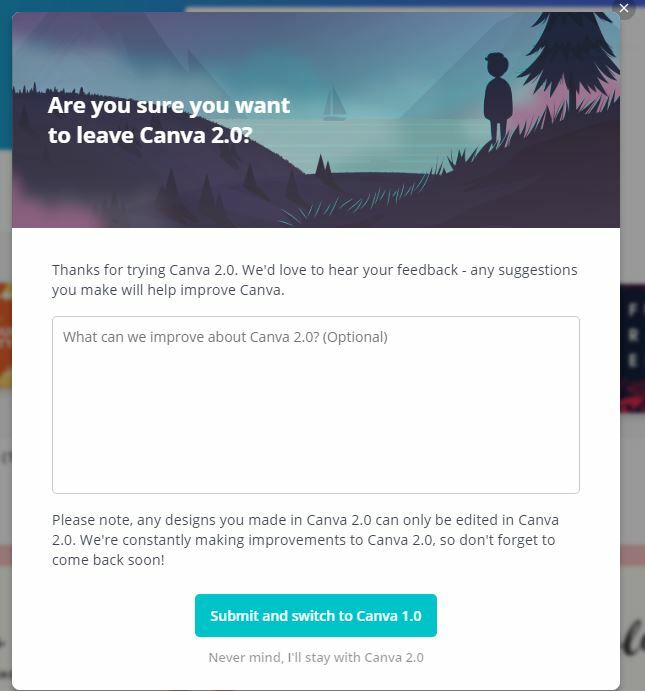 But what if I don’t want to use Canva 2.0? Then you can go back to Canva 1.0 – switching back is easy. On the left hand side, click HOME, which will take you back and you and you can switch back. You don’t even have to tell them why you are leaving. Just click Submit and switch to Canva 1.0, and it takes you back to 1.0. That’s kind of a broad brush overview of the great developments that have happened to Canva and I hope you’ve enjoyed this simple guide to Canva 2.0. I hope you have fun with it and go away and have a proper play. Like I say, forget the glitches at the moment, give them time to bed in, remember at this moment in time it in development but it does look incredible. Watch out for the Canva for Work 2.0 blog.